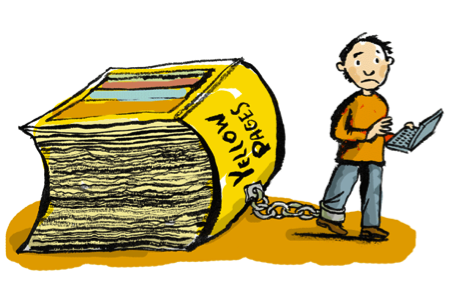 The Yellow pages are a thing of the past as more and more people turn to the internet to find information on companies. The internet has become a staple to everyday life with almost all of the information in the world at your fingertips. Having the advantage in internet marketing can lead to amassing large amounts of revenue and can set you apart from the competition. Companies stand to lose a lot of business and competitive edge when they don’t have some sort of internet marketing. Most people expect businesses to have a website or some sort of internet presence; when a business doesn’t have an online presence, people might have a harder time trusting the company. The consumer craves transparency when doing business with a company. People want to be able to find out everything about a company and can find out almost everything about a business online. Internet marketing allows for businesses to keep tabs of those consumers that visit their site making it easier to find out who the target market is and how to advertise to them. The internet has allowed business to reach out to the people that are genuinely interested in the company unlike TV ads that everyone sees but that are probably not the intended target market. Whether you are in a startup company or your company has been in business for years, it is likely that you have done some form of internet marketing. Internet marketing, also known as online marketing or digital marketing, helps companies to reach out to consumers on a larger scale in a cost-efficient way. Internet marketing allows a company to be available to consumers at all times, giving them the freedom to research the company, gain interest in the company, and possibly make a purchase. Being able to get information out instantaneously, not being confined by location, and mass distribution are all reasons why companies have chosen to do more than just the traditional marketing. Links to other web sites generally help a company to reach more consumers. Along with links, businesses can raise awareness of their cause, products, and initiatives on social sites like Facebook and LinkedIn. Many companies drive traffic to their websites through promoting on interactive social sites like Facebook. 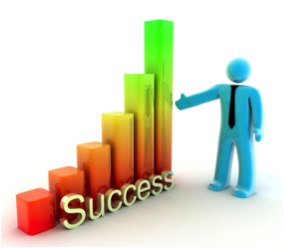 It is of the upmost importance that a company not only does internet marketing, but that they do it well. Marketing on the internet can either make or break a company. In order for a business to successfully market their company online, they need to have a large amount of knowledge about how to draw consumers in. Many companies don’t know where to start on their internet marketing and for this reason, there are internet marketing firms to help your company along the path to internet success. While a lot of companies do their own internet marketing, some have opted to let professional internet marketing companies elevate their online marketing to a whole new level. These marketing firms specialize in a variety of things like search engine optimization (SEO), email marketing, pay per click (PPC) advertising to name a few. 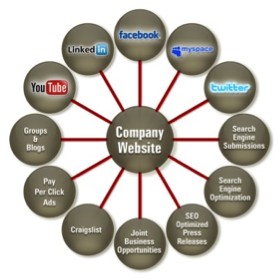 An internet marketing firm can assist a business with only one aspect of Internet marketing or with multiple. These firms are constantly analyzing ways to make a business profitable and what things are trending. If you are considering boosting the online scene of your business, it would be wise to contact some marketing firms that can be found by doing a simple search on the internet. While traditional marketing does still have its place in the growth of a company, most smaller startup businesses cannot afford to run commercials or run an ad in the newspaper. Large companies that can afford to do more traditional marketing still need to do internet marketing to keep up with competitors. A lot of a company’s success comes from being able to adapt or in other words innovate and stay ahead of the curve. A company’s marketing strategy has to change and adapt to new tools like the internet and social tools like Google+ and Twitter. When companies neglect the changing market place or cannot adapt to changes, they struggle and most of the time die off. Internet marketing has been booming in the last decade and many businesses have made a fortune by making their stamp in the online scene. In order to get the most out of your company’s marketing, expand and evaluate the most beneficial marketing avenues for your own business. Do not be afraid of change and be willing to allow internet marketing companies to help build your business.